If you want a Byron Bay wedding photographer to reveal the real story of your wedding and relive the emotion of the day for decades to come, then read on. Many of my photographs are taken on the outskirts of the wedding; those moments which so many photographers seem to miss or don't look for. My name is 'J' Miller and I am based in Byron Bay, but most of my weddings seem to involve me getting on a plane to somewhere or other, which I love. I am proud to be an accredited member of the AIPP and the elite band of worldwide rebels, The Fearless Photographers. I also possess a BA (Hons) 1st Class in Photography and have been photographing full-time since 2001. Outside of photography I am a stand-up comedian, author of The Art of Husbanding, a devoted husband and doting father of two. Please don't read on. It's all SEO babble! Another major aspect of J Miller’s Byron Bay wedding photography is that everything happens in a very smooth way, without being obtrusive or pushy and that their pure and raw emotions are being immortalized in a very artistic way. It is of prime importance for a wedding photographer to carry the attribute blending in with the family, so that the guests, particularly the ones who shy away from the camera, do not feel uncomfortable due to the presence of a photographer. Hence, with wedding photography in Byron Bay you can remain assured that everyone will be blissfully unaware. As a wedding photographer in Byron Bay, J Miller has huge experience of working on numerous wedding projects, encompassing a wide array of settings, from beaches to church. With over 15 years as a professional, you can definitely expect a high level of creativity and absolute dedication. Being the premier Byron bay wedding photographer, he has won many international awards in the arena of photography and possesses a first class BA Honours degree in Photography. 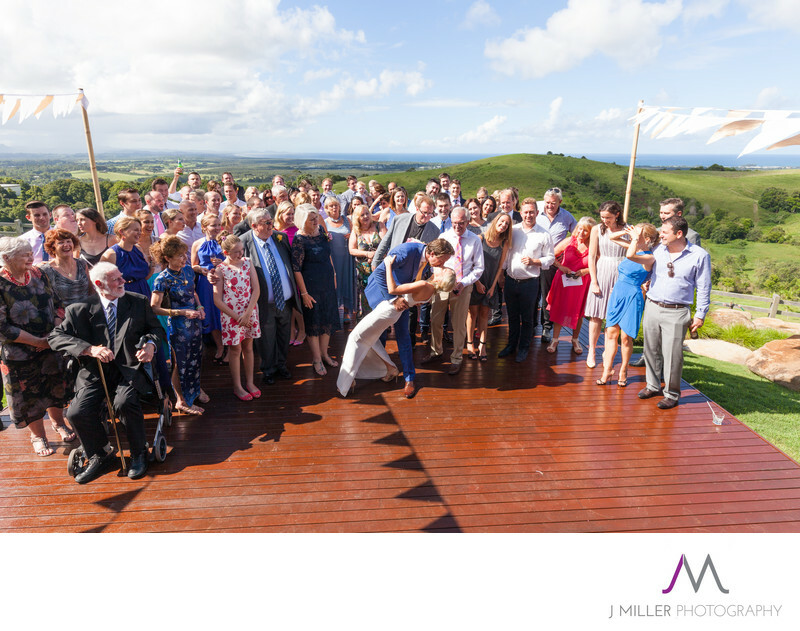 So, if you are planning to organize a wedding ceremony and are looking for a professional photographer who can immortalize the whole event then J Miller, the Byron Bay wedding photographer is the one for you. Contact us anytime, and we will be happy to have a chat.